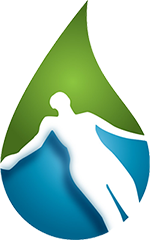 Did you know that we fill our float tanks with 950 pounds of magnesium sulfate? 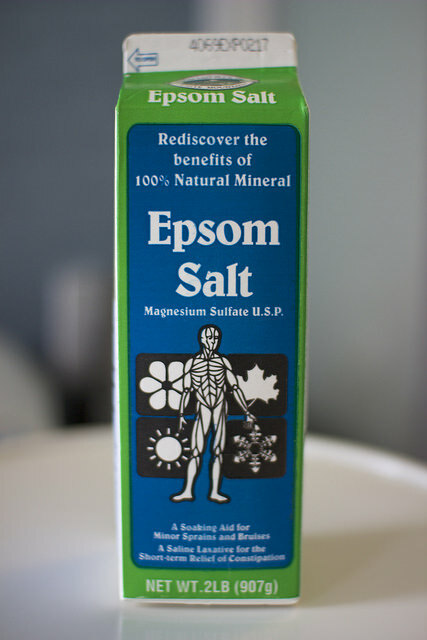 This concoction, more commonly known as epsom salt, does more than help our customers float effortlessly. For centuries, people have been using it to treat muscle pain, fight fatigue, and even regulate sleep cycles. Epsom salt carries a bevy of benefits, even for the largest organ in your body – your skin. Learn how floatation therapy helps you achieve an inner and outer glow. Magnesium sulfate is a natural exfoliator that removes dead skin cells and reveals clear, glowing skin underneath. It’s also effective in clearing pores, reducing the number of blackheads. Though its texture helps loosen dead skin, so does its formulation: Magnesium controls oil and boosts skin health. On the flip side, research shows that up to 80% of Americans are deficient in magnesium, so a float session will provide some serious topical benefits! Acne and rosacea can wreak havoc on your skin and self-confidence. Thankfully, epsom salt can help. The oil-stripping benefits of magnesium will help clear adult acne, but it has other benefits as well: People with histories of eczema and psoriasis also find relief from floating in a tank. Since magnesium is naturally antimicrobial and antibacterial, floating can help keep minor skin irritations clean. Here’s something else to consider: Most people try floating to reduce stress, and research has shown that flare-ups of eczema and psoriasis are directly correlated with stress levels. Theoretically, regular floating could help prevent further flare-ups. Let’s not forget the powerful effect of epsom salt on your hair. We toss a lot of things into our tresses in the name of beauty – volumizing products, harsh alcohol-based sprays, and lots of heat. Over time, this can make our hair frizzy, stressed, and tired. Epsom salt works by stripping gunk from the hair and restoring natural shine. As an added bonus, Epsom salt creates more volume and the appearance of thicker hair. After your float, simply let air dry for a tousled, straight-from-the-beach look. One of the best things about a float session is that it has both physical and mental benefits that will last for weeks to come. Whether it’s clear, soft, skin, perfect hair, or a relaxed attitude, you’ll emerge from your float feeling beautiful inside and out. For that, you can thank a little thing called sensory deprivation – and 950 pounds of epsom salt. Don’t miss out – schedule your float now! This was the first time that I have actually heard of the float therapy, and so far, it has gotten my attention in a positive manner. You mentioned that floating reduced stress and since acne and eczema breakouts were directly related to stress, then doing it can reduce flare-ups. I guess I can try that out. My college entrance exam has taken a toll on me and despite the idea that I passed, the skin condition that the stress left me is still present. I want to get rid of it, and I’m willing to try anything. Thanks. I’ll think about this. I like how you said that a float session can be beneficial both mentally and physically. I have never tried float therapy but I like the idea that it can be exfoliating for your skin, clarify your hair, and be super relaxing. It sounds like a really good spa day, I might have to look into salons that offer this service in my area. It’s hard to say whether it’s the stress relieving benefits of floating or the epsom solution you are floating in, or something else entirely, but since I’ve been floating, my moderate adult acne has gone down dramatically. I will continue to float and hope that it keeps working!